New Delhi (March 22): Over 40 people protesting Coca-Cola’s operations in India have been detained by police authorities in the capital city of New Delhi, India, today. More than three hundred people had marched to the government of India offices of the Planning Commission to seek action from the government on water issues on World Water Day. As of this writing, details of the police actions are still coming in and it is not clear what charges, if any, will be filed. Protesters were demanding that the Planning Commission (chaired by the Prime Minister of India Manmohan Singh) take immediate action to curb the severe water shortages being experienced by communities across India as a result of Coca-Cola and Pepsico’s mining of groundwater. “We are here on World Water Day to bring attention to one of the world’s worst abusers of water, the Coca-Cola company,” said Nandlal Master of Lok Samiti and National Alliance of People’s Movements, one of the organizers of the march and also detained. “The Coca-Cola company has destroyed the lives of thousands of people in India as a result of its thirst for water.” Carrying signs such as “Coca-Cola Pani Chor” – “Coca-Cola Water Thief”, the protesters were indignant that the government of India has not taken actions to ameliorate the bleak water conditions facing thousands of Indians who live around Coca-Cola and Pepsico bottling plants. Also detained was Medha Patkar, leader of the National Alliance of People’s Movements. Coca-Cola's operations in India have come under intense scrutiny as many communities are experiencing severe water shortages as well as contaminated groundwater and soil, directly as a result of Coca-Cola's bottling operations. The company has also been found to sell products in India with dangerously high levels of pesticides. “The world needs to know that the Coca-Cola company has an extremely unsustainable relationship with water, its primary raw material. Drinking Coca-Cola contributes directly to the loss of lives, livelihoods and communities in India. On this World Water Day, we encourage people around the world to think before they drink Coca-Cola,” said Amit Srivastava of the India Resource Center, an international campaigning organization. Rajendra Ravi, National Alliance of People's Movements (Hindi) +91 98682 00316 Read more! Remarks made at the University of Illinois, Urbana-Champaign Board of Trustees Meeting on March 13, 2007. Good morning. My name is Costa Nikolaides. I am a senior at the University of Illinois, Urbana-Champaign and I am also the president of the student organization the Coalition Against Coke Contracts. I have asked to speak today to inform the Board of Trustees about the concerns of my organization over the egregious record of human and labor rights violations and environmental degradation of the Coca-Cola company around the world. These concerns are relevant for all of us who are associated with UIUC, due to the fact that the only beverages available on the Champaign-Urbana campus are the products of the afore-mentioned corporation, which forces students, faculty and staff to continue to subsidize the violations of this company. On September 12, 2006 the Coalition Against Coke Contracts, a broad coalition of students, faculty, staff, and community members in Urbana-Champaign, filed a formal complaint and submitted supporting research to bring to the attention of the university administration the available evidence regarding these allegations. 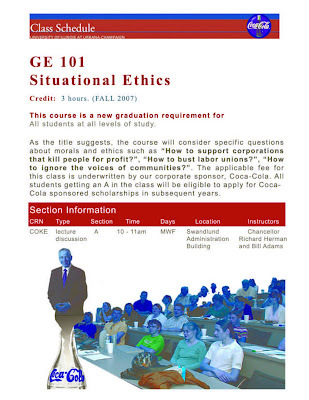 In the over three hundred page documentation of Coca-Cola's outrageous record of human and labor rights violations, and environmental degradation, we outlined why the University of Illinois should take a stronger stance on this issue and join its peer institutions in expressing these concerns to the corporation through non-renewal of any further business relationship with the company. To date, the Chancellor's Office has not taken a leadership role by making a public commitment to upholding its business partners to highest standards of human and labor rights, and environmental stewardship. The administration's continued public silence concerning its future business relations with Coca-Cola is tantamount to complicity with the company's malpractices, which is a matter of grave concerns for the campus community that support this campaign. We have provided documentation of Coca-Cola's unethical practices in Colombia, Turkey, India and Guatemala. 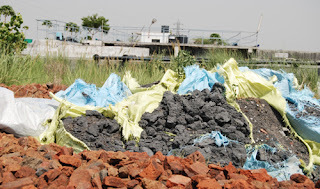 For example, our report outlines the inexcusable manner in which the Coca-Cola company's bottling plants in India have depleted the water table in Plachimada, Kerala and indiscriminately discharged polluted waste water into the fields around its plant. We have also submitted overviews and briefs on Coca-Cola's financial support and active collusion with paramilitary groups to destroy Colombian workers' attempts to organize unions. We would be happy to provide this documentation to the members of the Board upon request. I would like to stress to the Board that this issue requires urgent attention. In the coming month, the State of Illinois will announce its decision to enter into a state-wide exclusive pouring rights contract. The Chancellor's office has already verified in writing that the University can "opt-out" of the state-wide contract , and exercise the right to choose the vendors it would like to do business with. I would like to make the case that any continuing business relationship with Coca-Cola is damaging to the university's image and mission, and hence not in its best interest . By refusing to enter into business relationships with Coca-Cola, the University of Illinois will make sure that it does not condone socially irresponsible corporations. Additionally, such action will reaffirm the University's commitment to human rights and demonstrate that it takes its membership in the Worker's Rights Consortium and Fair Labor Association seriously. In closing, we urge the Board of Trustees, Chancellor Herman and Associate Chancellor Bill Adams to conclusively state that the University of Illinois, Urbana-Champaign will not do business with Coca-Cola until the company improves working conditions in factories around the world and addresses the human rights violations and environmental degradation caused by its business and manufacturing practices. COKE will be in very short supply at University of Manchester Students’ Union (UMSU) after their AGM passed a motion banning it in their shops and bars. Four hundred votes for the motion to twenty against means students will now be forced to drink another cola at nights out in their students’ union. Cardiff University students attempted to pass a similar boycott of Coca-Cola last year and attempted to mandate the NUS’S bulk buying arm, to end contracts with Coca Cola. But the motion fell at the annual conference. However, Manchester’s ban goes much further by resolving “to replace Coke products on sale in all students’ union outlets with Virgin Cola or a suitable alternative”. The motion at Manchester was proposed as a result of accusations towards the multinational company of violating workers’ human rights and environmental welfare in Columbia, India and Turkey. The company has also been accused of siphoning water from rivers in India for its factories, causing farmers to struggle without irrigation resources. The ban comes as campaigners in the UK are trying to remove Coke products from university campuses using the internet to gain support; universities like Oxford, Edinburgh, Bristol, Bradford, Middlesex and the School of Oriental and African Studies (SOAS) have already passed motions boycotting or banning the drink. Read more! 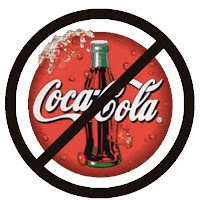 (Washington, D.C.) – Teamsters rallied today at NCAA Men’s Basketball Tournament games in Chicago; Spokane, Washington and Columbus, Ohio to urge the NCAA to drop key sponsor Coca-Cola. The union cited concerns about Coca-Cola’s destruction of natural resources in developing countries, its worker and human rights abuses in the U.S. and abroad, and the elimination of good-paying U.S. jobs at Coke bottler and distributor Coca-Cola Enterprises (CCE). Throughout the March Madness playoffs, the Teamsters will hand out leaflets informing NCAA fans about Coke’s troubling environmental and human rights record—including Coke’s possible contamination of water and farmland in India, a current lawsuit against the company for allegedly allowing death squads to murder pro-union employees in Colombia, and a record-breaking $192 million Coke paid to settle a case involving widespread racial discrimination. The NCAA has designated Coca-Cola as the first official NCAA Corporate Champion. Coca-Cola is a key sponsor of the tournament, and is paying the NCAA $500 million in an 11-year beverage marketing and media rights deal reached in 2002. The Teamsters Union represents more than 14,000 Coca-Cola and CCE employees in the United States and Canada. Read more! New Delhi: The Health Ministry on Wednesday submitted an affidavit in the Supreme Court admitting that there are pesticide residues in cold drinks. The N K Ganguly Committee, set up to study the issue of pesticide content in colas, suggested that a committee be set up to look into the issue of food safety. The Health Ministry also told the apex court that the Committee had suggested that there are certain pesticides, which have to be monitored for a period for three years After the Health Ministry came out with that affidavit, Coca-Cola India has come out with an official statement. In its press release, the company says, "Our products are safe and the analysis of the products for the pesticide residue is available on our website. We have always supported the setting up of standards on pesticide residue in soft drinks and welcome the move in that direction." The Ganguly Committee was set up after Delhi-based NGO Centre for Science and Environment revealed that new tests have detected dangerous level of toxins in colas. A similar CSE report in 2003 had led to a joint Parliamentary probe into the matter. Four years later, the NGO again went public with the findings of its studies, claiming that soft drinks were still not clean. It claimed that compared to 2003, Pepsi contained 30 times higher pesticide residue on an average and Coca-Cola contained 27 times higher residue. The NGO claimed that it found three to five different kinds of pesticide residues in all the 57 samples of 11 soft drink brands that it had collected from 25 different manufacturing plants of Coca-Cola and PepsiCo, spread over 12 states. Read more! "In Colombia, you could get killed for organizing a union," said Manuel Ortiz. "[Colombia has] the highest rate of assassinations and murders of trade unionists anywhere in the world. Coca-Cola knows what's going on, and they're just trying to ignore the situation." Ortiz is a member of the local chapter of the Labor Council for Latin American Advancement, which joined forces last Thursday (March 1) with local student and labor groups to support Killer Coke, a campaign led by longtime labor organizer Ray Rogers. Killer Coke alledges that Coca-Cola has has turned a blind eye to the brutal crackdown by paramilitary forces on union organizing efforts at their bottling plants in Colombia. The campaign aims to remove Coca-Cola products from college campuses by making students aware of the company's neglect for human rights abroad. Locally, they are focusing on the University at Albany, which has an exclusive contract with Coca-Cola to sell Coke, Sprite, Vault, Fanta, Nestea, Minute Maid juices, and Dasani water. The event was sponsored by University Auxiliary Services, which has the contract with Coca-Cola and handles various other UAlbany student services. UAS executive director Julia Filippone said that they want to present a variety of viewpoints in keeping with the university's goal of being a "marketplace of ideas," and that is why Rogers was brought in. "We encourage students to be responsible about their information," she said. When he was first approached about Coca-Cola's record, Rogers said that the accusations seemed to be "off the wall," but after investigating and uncovering numerous cases where employees of Coca-Cola bottling companies had been murdered by paramilitary forces for trying to unionize, Rogers' organization, Corporate Campaign Inc., adopted the cause. "We made a commitment that we would get involved," he said. "We're going to put a stop to what's happening in Colombia." Rogers said that the campaign has gotten Coke products removed from 34 schools—most in the United States, but some in England, Ireland, Canada, and Italy, including some large universities like New York University and Rutgers. The student groups have set an arbitrary deadline of March 27 for UAlbany to sever their contract with Coke, which expires in 2008. Jackie Hayes, a UAlbany doctoral student interning with the Killer Coke campaign, said that the students plan to make phone calls to university officials, protest outside administration buildings, and finally deliver to the administration, "preferably in a wheelbarrow," all the evidence of Coke's abuses. The students groups said that it would be ideal for the university to deal with multiple companies instead of one exclusive contract. Hayes said that supporting local businesses would be a good choice. "It's a lot easier, I think, to hold local companies accountable, because it's really difficult when you find out a company like Coca-Cola is committing these human-rights and environmental abuses—they're impenetrable," she said. "They put a lot of money between themselves and their customers, and so there's really no way to hold them accountable for anything that they're doing." "I don't know if [local companies] can meet our needs," said Filippone, needs that include 200 vending machines, more than 50 fountain mixes, and sales of 1.5 million bottles per year. But she said that, while bidding on the contract has yet to begin, bids will be accepted from any party and that local companies are not out of the question. The Killer Coke press conference and panel discussion Thursday drew a crowd of about 35. Hayes said that a lot of students aren't even aware of the fact that UAlbany has an exclusive contract with Coke, let alone that the company has a poor human-rights record. "I think a lot of it is that people haven't heard what's going on," Hayes said, "because Coca-Cola does a really good job at fighting that getting out and puts so much money into public relations." Ray Rogers agreed. "You have to understand that Coca-Cola is a company that spends billions of dollars a year—about 3 billion dollars a year, actually—in advertising to create an image or a reality that has nothing to do with the ugly reality that is the company." That reality, according to Rogers, is the kidnapping, torture, and murder of union organizers by paramilitary forces. Rogers detailed the accusations during the panel, describing environmental abuses as well. He said that he would like to debate Coca-Cola representatives directly, but that they will not debate him. By the end, his lecture took on a decidedly anti-corporate tone, and Rogers suggested that perhaps they could take on ExxonMobil next. FAIR USE NOTICE. This document contains copyrighted material whose use has not been specifically authorized by the copyright owner. The Campaign to Stop Killer Coke is making this article available in our efforts to advance the understanding of corporate accountability, human rights, labor rights, social and environmental justice issues. We believe that this constitutes a 'fair use' of the copyrighted material as provided for in section 107 of the U.S. Copyright Law. If you wish to use this copyrighted material for purposes of your own that go beyond 'fair use,' you must obtain permission from the copyright owner. Read more! Nicholas Clark, another student organizer, then walked to the podium. He passionately asked that the board listen to the students on campus, just as the campaign had listened to the students after their initial campaign of having Coke banned on campus failed. The students on campus were in favor of allowing the students a choice of beverages, rather then banning any one beverage from campus. Clark asked the board to do the same. After Clark finished, an administration official stated that the administration, after looking over the information provided by the campaign and reexamining the issue at the behest of the board, decided that the exclusive pouring rights of Coke should be maintained. The administration official said that their findings supported their decision. What followed took everyone by surprise. First to speak from the board was board member Dorothy Smith. In a very brief statement, she said, “I support the students’ right to choose.” Board member William J. Smith likewise made his statement brief. “We are here to serve the students…. If it doesn’t hurt us…I don’t see why we can’t honor them.” Board member Phillip J. Forhan continued the sentiment, “I support the students’ choice. I would like to make a motion to support that….To remove the monopoly.” And before Isabel Barrenas, the chair, could ask for a second, student government member Kate Blanco said that in poll conducted on campus over 1000 students supported lifting the exclusive rights; only 26 opposed. Rosanna Spincer, who happened to be standing in front of me, looked extremely confused. She asked the administration representative, who spoke earlier in favor of the exclusive contract, “what happened?” “The motion passed,” he replied. Still, Rosanna seemed unsure, that was until one of the other student hugged her saying “We did it, I can’t believe it, we won!” A quick thank you to the board, which I don’t think they could hear or see, what with the students clapping and filing out of the board room, and the board continued with their business. The student campaigners congregated outside for a while, excited and still a little unsure as to what had just taken place. Some were talking on cell phones, telling someone on the other end, “We won…no really we won…yeah, we won.” Expecting to lose, they left with unexpected smiles and hope. Read more!